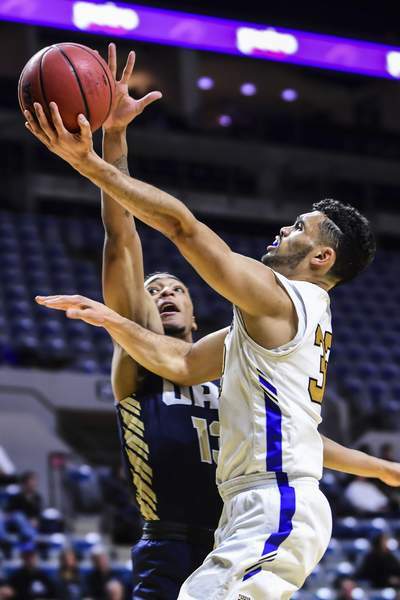 Mike Moore | The Journal Gazette Purdue Fort Wayne guard Dee Montgomery scores over Oral Roberts guard Carlos Jurgens while driving to the basket in the first half at Memorial Coliseum on Thursday. 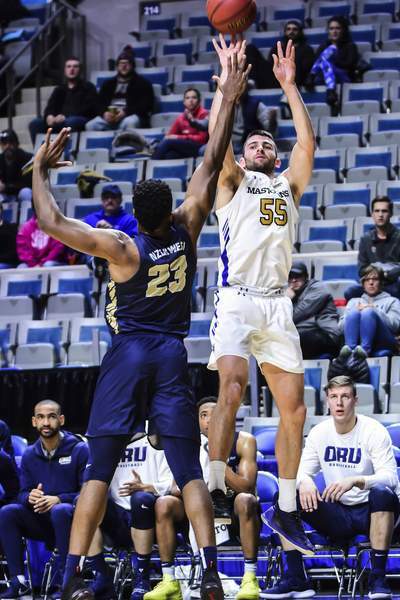 Mike Moore | The Journal Gazette Purdue Fort Wayne forward Matt Holba takes a shot at the basket in the first half against Oral Roberts at Memorial Coliseum on Thursday. 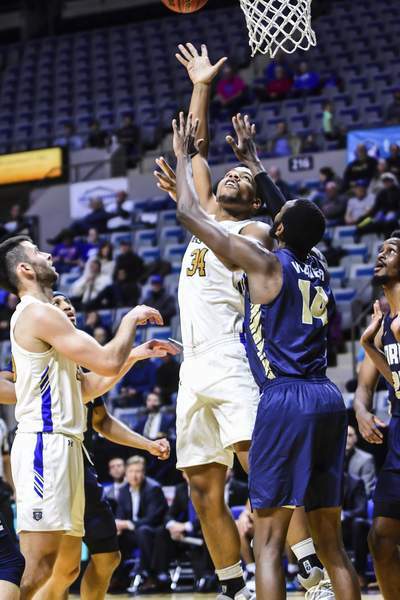 Mike Moore | The Journal Gazette Purdue Fort Wayne guard John Konchar sinks a 3-pointer over Oral Roberts forward Emmanuel Nzekwesi in the first half at Memorial Coliseum on Thursday. 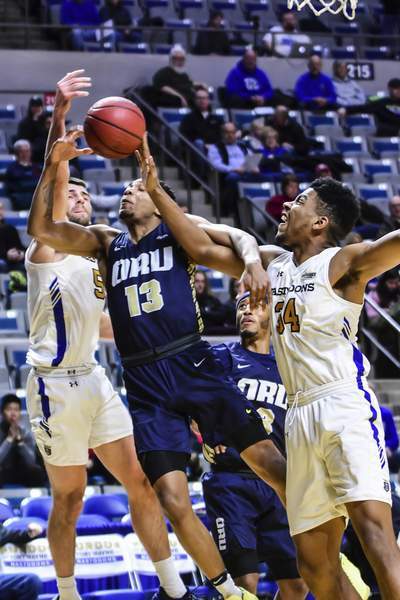 Mike Moore | The Journal Gazette Purdue Fort Wayne defenders John Konchar, left, and Cameron Benford, right, fight for a rebound with Oral Roberts guard Aidan Saunders, center in the first half at Memorial Coliseum on Thursday. Mike Moore | The Journal Gazette Purdue Fort Wayne guard Kason Harrell drives to the basket over Oral Roberts guard Aidan Saunders in the first half at Memorial Coliseum on Thursday. 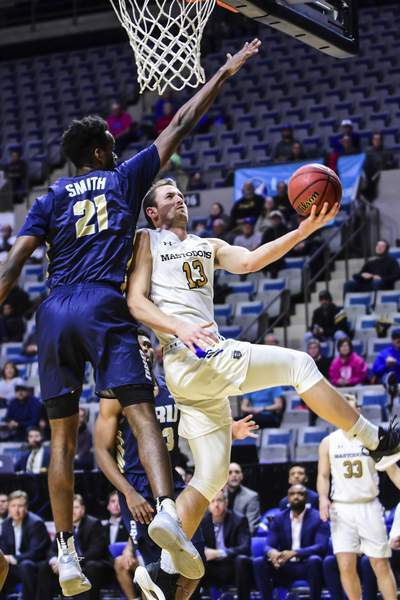 Mike Moore | The Journal Gazette Purdue Fort Wayne forward Matt Holba drives to the basket in the first half against Oral Roberts at Memorial Coliseum on Thursday. 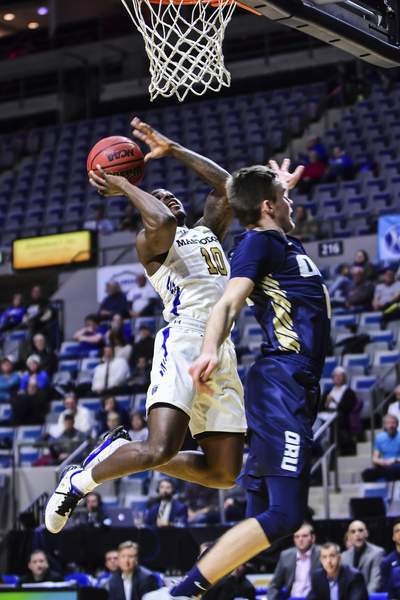 Mike Moore | The Journal Gazette Purdue Fort Wayne forward Cameron Benford scores under the basket over Oral Roberts forward Deshang Weaver in the first half at Memorial Coliseum on Thursday. 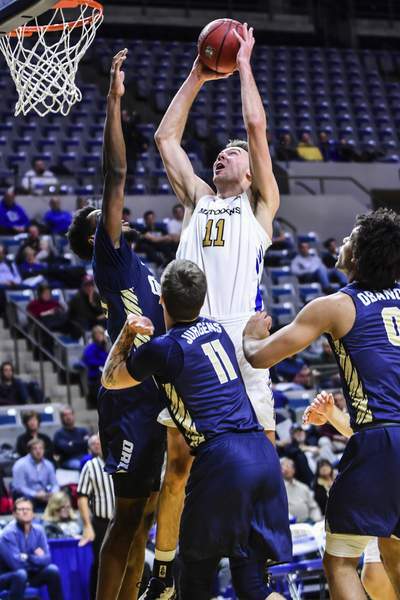 Mike Moore | The Journal Gazette Purdue Fort Wayne forward Dylan Carl takes a shot at the basket in the first half against Oral Roberts at Memorial Coliseum on Thursday. 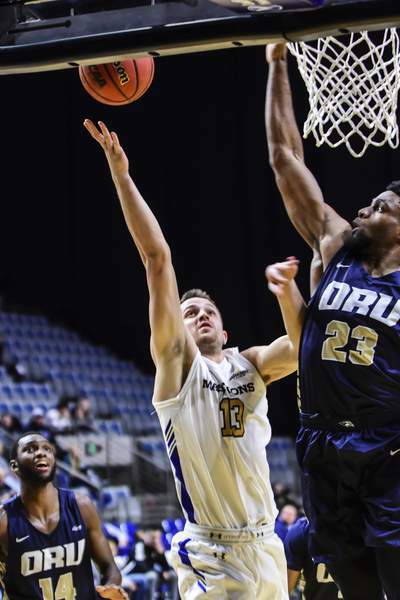 Purdue Fort Wayne played host to Oral Roberts at Memorial Coliseum on Thursday.